There are several products that all acne kits should include like a hydroxy acid tonic, moisturizer and a low-strength benzyl peroxide product. There is a better way to buy acne care products that will actually get results: Buy your skin care products in the form of an acne care kit, and buy them from the same source, so you can easily get your money back when something does not work and so you can know all the products you use on your face are compatible. Whichever acne care system you choose, there are ten basic products that help you get rid of acne for good. Getting all your acne care products in a kit from the same source saves time and money. Every acne care kit needs to include a cleanser you can use once or twice a day without irritating your skin. Every acne care kit needs to include an alpha-hydroxy acid or beta-hydroxy acid tonic that you can use several times a week to remove dead skin and to stimulate activity of the basal layers of your skin to keep pores open. Every acne care kit needs to include a skin clearing complex that reduces redness and inflammation of the skin. Every acne care kit needs to include a moisturizer to keep skin smooth, wrinkle-free, and naturally colored. Every acne care system needs a low-strength benzoyl peroxide product that kills acne bacteria without irritating the skin. People who have acne also benefit from microdermabrasion cloths and crystals, clarifying masks, probiotics, and sunscreen. Exposed Skin Care offers great quality at a great price. 1. Every acne kit needs to include a good cleanser. No amount of cleansing gets rid of acne once you’ve got it. That requires some other products that will be mentioned in a moment. But gently cleansing your skin once or twice a day, removing excess oil and makeup, will help keep acne from getting started. On the other hand, harsh detergent cleansers can actually make acne-prone skin worse. Big bubbles can dry out your skin. Chemical ingredients can make your skin break out. You need a cleanser that makes a foamy lather of small bubbles you can place on your skin to get grease and grime off without having to rub or scrub. Let your cleanser do all the work. 2. Every acne kit needs to include a good clearing tonic. Acne isn’t caused just by the production of oily sebum in your pores. Acne is caused by the accumulation of oily sebum and acne bacteria underneath clumps of dead skin in pores. Cleansers don’t break up the “glue” holding dead skin cells together in pores. For that you need a good clearing tonic that contains alpha- and/or beta-hydroxy acids. The most commonly used alpha-hydroxy acid is glycolic acid. Glycolic acid breaks up clumps of dead skin on the surface of your skin and in pores. It helps pores drain freely and also makes room for younger skin cells to emerge on the surface of your skin, giving it a smoother texture and deeper natural color. 3. Every acne kit needs to include a skin clearing serum. Serums offer a third kind of acne treatment for your skin. Azelaic acid, for example, can both reduce redness and help break up the hardened oils the clog pores and make whiteheads and blackheads. If you a tendency to redness when your skin is warmed, either by coming in from the cold or by drinking a hot beverage, acne serums that contain azelaic acid and gotu kola can be very useful for “calming” the skin. 4. Every acne kit needs to include a moisture complex. Moisturizers keep the skin soft and flexible. They don’t add oil to the skin. In fact, they help pores drain oil off the skin by relaxing the skin around the pore. But many products that are labeled as moisturizers actually make the skin dryer. It’s important that your moisturizer does not contain isopropyl alcohol. 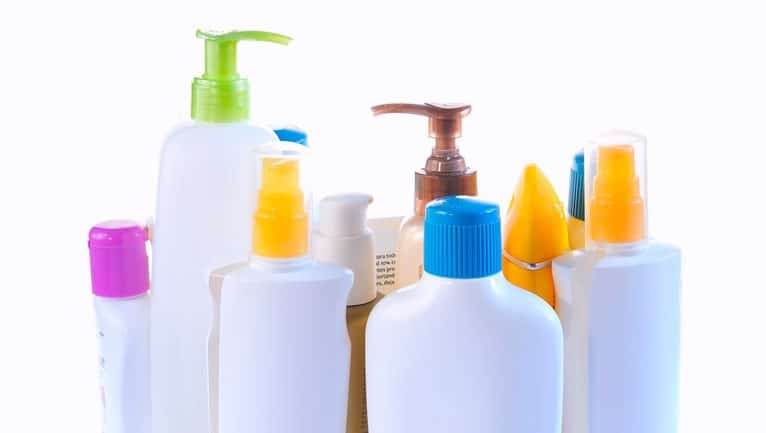 Many products contain enough isopropyl alcohol to make your skin feel tingly—which is a sign that the top layer of cells has been killed and will dry out—but not enough alcohol actually to kill acne bacteria. They offer the worst possible acne treatment. Instead, moisturize your skin with products that contain ingredients such as dimethicone and siloxane. These ingredients lock moisture in your skin so it is more resistant to dry air and sun. The best moisturizers also contain herbal ingredients like green tea (Camelia sinensis) extract, which reduces the production of oil in pores while dimethicone keeps moisture in surrounding skin. 5. Nearly everyone also can benefit from benzoyl peroxide. Benzoyl peroxide kills acne bacteria. It’s offered in both over-the-counter and prescription strengths. Over-the-counter benzoyl peroxide (most commonly 2-4% strength) kills bacteria fast but does not irritate the skin. Prescription benzoyl peroxide (most commonly 5% or stronger) kills massive numbers of bacteria but nearly always also causes peeling, flaking, itching, and redness—so much that very few people can use prescription-strength benzoyl peroxide for more than a day or two at a time. A 2% or 2.5% benzoyl peroxide gel is enough to kill the bacteria in pimples but not so much that it gives you a different set of skin care problems. An acne treatment serum with 2.5% benzoyl peroxide is a great thing to keep on hand to treat pimples at the first sign of infection to keep them from getting out of control. Just be careful not to bleach your clothes or your hair by contact with the product. These first five products are acne care essentials. But there are five more products that can help you clear up lingering skin care issues even after acne is gone. 6. A microdermabrasion cloth helps you gently erase brown spots and scars. Microdermabrasion is a process of removing dead skin and maybe the first one or two of the top 25 layers of cells at the surface of your skin. It reduces pigmentation that may be left when acne heals, and it softens the edges of scars. The safest, easiest, and least expensive way to do microdermabrasion is to use a microdermabrasion cloth. You rub the polyethylene cloth over your skin for 30 seconds to a minute, and stop. You may not see a big difference the first time you use the cloth, but over a few weeks you will notice discoloration fading and the surface of your skin becoming more matte. You may also notice fewer whiteheads and blackheads even if you do not use other skin treatments. 7. A clarifying mask lifts dead skin and excess oil off the surface of your face. The most common ingredient in clarifying masks is, ironically, sterile medicinal clay, also known as mud. Clarifying masks are also made with a variety of plant ingredients. You paint a mask over your face, allow it to dry, and then peel off the mask with dead skin and excess skin oils. Then you rinse your face with warm water and pat your skin dry with a clean towel. Your skin’s natural colors should be deeper, and there should be a reduced shine on your skin. 8. A microderm scrub can complement a microdermabrasion cloth. Microderm scrubs use aluminum oxide crystals to remove old and dead skin. You don’t have to rub them into your skin vigorously. It only takes a very gentle action for a few seconds for the crystals to do their work. Be sure to rinse your skin thoroughly after using the crystals to avoid redness and irritation. 9. Probiotics help heal acne from the inside out. Probiotics are friendly bacteria, like those found in yogurt. Building up the number of friendly bacteria in your lower digestive tract trains your immune system to respond to “infection” with a minimum of irritation, and the trained immune cells later circulate to your skin. If you take probiotic supplements, your skin won’t get as red when pimples break out. Capsules are preferable to eating yogurt because more bacteria survive passage through the stomach. 10. Sunscreen is essential for many skin types during acne treatment. If you have gold, brown, or black skin tones, you may be resistant to sunburn, except when you are using acne products. As little as SPF 15 sun screen may prevent permanent pigmentation in your skin left behind when blemishes heal. Where can you find all of these products? Exposed Skin Care provides a complete set of acne care products at discount prices and a money-back guarantee.